What they don’t say is Hell’s entrance is at a cross-country fence gone bad. The ground reverberated under Lexi Garrod’s feet. She snapped her head in the direction of the sound to watch a gorgeous, bay horse thunder past her, clearing the four-foot-high jump she was judging. She shook out her long, curly blonde hair, repositioned her ball cap and checked her watch. Beans, a scrappy Jack Russell terrier and Lexi’s constant shadow, obliged the call and trotted faithfully behind her as she tamped down the grass in front of the huge vertical log-wall jump she was attending to. He kept his snout in the air and ears at full alert waiting for the next horse and rider to round the bend in the field at Long View Farm’s cross country course. Beans could sense the horse’s approach and whimpered for Lexie to get out of the way. The little terrier had been a gift from Willa when she first arrived at the farm as a working student. Lexie lived in a tiny apartment over the south barn and Beans had wandered onto the farm one day. He was checked out and wasn’t chipped or tagged, so Willa suggested Lexie keep him as a companion. Willa was a well-known rescue advocate for dogs. Beans made himself at home the first night, jumping up onto Lexie’s bed and snuggling into the covers. Lexie reached down and scrubbed his ears and returned to her judge’s chair at the far side of the jump. Cross country jumping was Lexie’s passion. It haunted her dreams, day and night. At nineteen, she was on her own, moving to the eventing mecca of Aiken, South Carolina. Lexie spent her days mucking out stalls and grooming the tall, leggy jumpers for the two full-time trainers at Long View Farm. It was a hard job that kept her moving eight to ten hours a day. On the weekends, she was a jump judge for the United States Eventing Association shows held at Long View. Lexie lived and breathed eventing as a sport and a life choice. Growing up in New York City with a janitor dad and a drunken sod for a mother, Lexie didn’t have many opportunities for riding. One afternoon, Lexie and her best friend snuck away for an afternoon of show jumping at Madison Square Gardens. They pried open a rear access door and slithered along a wall until the arena came into view. Lexie was mesmerized by the horses that seemed to hop the fences with no effort at all. During one of the classes, a rider became unseated and the loose horse galloped happily around the arena. Lexie stared in disbelief at the freedom-loving gelding. He finally slowed his mad scramble and came to a stop right in front of Lexie. She carefully reached over the rail and took hold of his reins. While the owner made his way over to collect his horse, the big, dark gelding looked straight into Lexie’s eyes and sealed her fate. His deep, brown, soulful eyes almost beckoned her to come with him. She was transfixed until reality grabbed the reins from her hands. The horse was taken away and Lexie and her friend squealed in delight at the opportunity they were afforded to touch one of those magnificent horses! While the jump crew readjusted the jumps, a tall, red-headed woman wearing skin-tight jeans and six-inch spike-heeled shoes approached the two girls. “I just wanted to say thanks for catching my boy,” she proffered a hand to Lexie. “Oh! I was just lucky to be in the right place!” Lexie exclaimed. The mysterious woman dug into her designer handbag and popped a business card in Lexie’s direction. That was two years ago and Lexie kept that business card with her the whole time. Three days after she graduated she called the owner of Long View Farm and was hired on the spot. Her graduation gift from her tired father and barely-awake mother was a one-way bus ticket to Aiken. And here she was, immersed in the lifestyle of the event horse. She knew she would probably never own one, but just to be around them was food for her soul. The mysterious lady she met at Madison Square was none other than Willa Samson, owner of Long View Farm, and a staunch supporter of the sport of eventing. Willa promised Lexie that soon she would be able to take riding lessons once she proved her salt in the stable. Lexie fairly vibrated with delight at the thought of being able to ride. She didn’t really know if she could ride or not but she was ready to give it a shot. Willa had promised after six months of hard work she would be allowed to start in the beginner camp. She was nearing the end of her trial period and everyone at the farm gave her great marks for being on time, hard-working, and honest. Lexie checked her watch again and did a quick tally. Lexie’s job as jump judge was to make sure each rider got over the fence correctly, to make note of any faults and to keep the path to the fence clear of any obstructions, which could be anything from stray dogs to downed riders. She also kept a sharp eye on the grass surface approaching the fence to make sure no holes were left behind. The surface in the piedmont area of Aiken County provided an ideal footing for jumpers. The sandy soil drained quickly and jumpers could attack the course in any weather. Long View hosted many events during the year from beginner levels to Olympic hopefuls. Finally, a huge grey horse rounded the bend and headed for her jump. Lexie watched closely while scratching Beans’ ears. The big grey cleared the fence with plenty of room and galloped off towards the next one. Lexie grabbed her two-way radio. “Is that the last one?” She asked the control booth. “Yes, come on in, we’re done for today,” came the reply. Lexie picked up her clipboard and tote bag full of water bottles, judging supplies and snacks, and began the long walk back to the barn. The next-to-last jump on the course was over a mile away and was Lexie’s favorite. She chose that jump because it was close to the riding trail and far away from all the people. She could see the pleasure trail riders pass nearby, waving occasionally, and Beans could chase a squirrel without getting in the way. The peace she felt out there in the huge open field was something hard for her to describe. She double checked the footing in front of the jump before whistling to Beans to follow her home. As she traversed the tree line around the field she heard some horses trotting up the trail a few feet through the trees. She stopped to see if it was anyone she knew. A huge, pinto-colored horse strode into view leading a small group of trail riders. His diminutive rider was holding a tight rein on him. Lexie could tell he was a bold mover. She loved his color! The predominantly-white horse had dark brown patches swirling over his rump and neck and his mane and tail were glossy black. Tri-colored pintos of this size were a rare sight and Lexie waved enthusiastically at the group as they passed by. “Whew, Beans, that horse was gorgeous! He must be seventeen hands if he’s an inch!” Lexie exclaimed. Beans seemed to agree with her assessment as he stood at full attention, watching the riders file by. The riders hailed back to her and strode out of sight around the next bend in the trail. Lexie set out for the secretary’s booth to turn in her walkie-talkie and her clip board. The gals in the booth waved her inside and listened to Lexie’s evaluation of the jump she judged and the overall thoughts of the day. This was think-tank time while the event was fresh in everyone’s mind. As tired as they were, they all sat around a long, plastic table discussing every aspect of the show, from the dressage ring, to the stadium jump ring, to the cross-country course. They hashed out any perceived problems and looked over any formal complaints that may have come in during the day. Overall, the group felt the event went well. Willa arrived in her custom-painted purple golf cart with jumping horses painted all over it. She hopped up the two small steps into the booth and surveyed the crew. The event manager stood and handed her the results and the official paperwork for USEA. Lexie gave Willa a salute and whistled for Beans. She made her way to her apartment for a long, hot shower. She grabbed a plate of smoked chicken and salad from the barbeque, then, threw herself onto the couch with the TV on low. She set her cell phone to ring her awake at ten-forty-five and settled in for a snooze with Beans curled up behind her knees. At ten-thirty Lexie awoke with a start. It never failed that when she set her alarm, she would waken well before the alarm went off. She pulled herself up from the couch, stretching her sore, cramped muscles. Beans stretched as well then began the bum wagging. His little, stumpy tail wagging away made his whole bum swivel back and forth. He knew it was time to go out to the barn, a favorite pastime chasing critters and boogers in the woods. Lexie put some coffee on her machine, made a quick bathroom trip then grabbed the coffee and walked out to the south barn. The barn was state-of-the-art, with gorgeous wood siding and hunter-green metal roofing. She could see the outline of the spires sticking up in the air from the roof with the bright moonlight. The lightning arresters kept the barn safe from the notoriously violent summer lightning storms. There were forty stalls in this barn. All were currently rented out to riders on the eventing circuit. Lexie slid open the wide, herringbone-designed front door and slithered inside, with Beans at her heels. Gentle nickering followed as the first few horses in the stall rows saw her enter and were hoping for a midnight snack. Lexie softly talked to them and walked down the aisles in the light of the dim nightlights placed on the wall every other stall. She glanced briefly in each stall to be sure none of the horses were cast against the wall or showing any signs of illness. Colic was a big killer of horses and often struck for no apparent reason in the middle of the night. Vigilant owners saved thousands of dollars by investing in a night watchman. Lexie did this watch two nights a week, from eleven to six in the morning. The extra cash and tips she received all went into her buy-a-horse-fund. Lexie rounded the end of the first row of back-to-back stalls and thought she heard clip-clopping in the next aisle over. That sound shouldn’t be coming from a barn locked up for the night. “Beans! Heel!” Lexie commanded the little sniffer to her side. She furtively traveled the length of the next aisle, glancing in each stall to make sure the occupants were peacefully munching or sleeping. When she reached the far end of the aisle, the clip-clopping became louder and a few small squeals echoed through the barn. Lexie picked up the pace to the corner of the next aisle and peered carefully down the aisle to the source of the noise. There stood the giant tri-colored pinto horse she’s seen earlier that day on the pleasure trail! He was saddle, bridles and sticking his nose into a stall where a somewhat-nasty chestnut mare was having no part of his wee-hour visit. Lexie gave Beans the down-stay command and slowly approached the big gelding. In the gloominess of the night lights, the horse appeared to be just wandering around looking for a place to hang his bridle. But as Lexie got closer, she could see a gash on his front cannon bone, just below the knee. The blood was dripping steadily from the horizontal slash. Lexie did a quick head count of the twenty stalls as she advanced on the injured horse and realized all stall were accounted for and full of other horses. Where did this guy come from? Where was his owner? How did he hurt himself? The vast, colorful gelding stayed steady when Lexie took hold of his reins. She noted that they had snapped at the buckle and there was a dirty streak on his cheek and the bridle had gouges down the cheek piece. It was apparent to Lexie that the horse took a nasty spill and snapped the reins when he got back up. But, where was the rider? She backed the gelding into the wash stall and slid a spare halter on over his bridle and clipped him to the crossties. She peeked around the wall and noticed that the back door of the barn was open slightly, something that was never done at Long View. Doors were buttoned up after the evening meals were distributed to keep “night critters” from helping themselves to the place. “Hello?” Lexie called out again but all she could here were munching horses and night insects outside. Her immediate thoughts were to stem the bleeding, wash the leg and get it wrapped before calling a veterinarian in and alerting the main house of the errant guest. She released Beans from his stay and began hosing down the leg. With the lights on full in the wash stall, she could see the extent of the damage to his leg. It was a deep gash, one that would require stitches so she flushed the wound greatly and took a close look to make sure nothing foreign lay in it. Then she pulled the emergency kit off the wall and began bandaging the cut. The big horse took her ministrations well. He sniffed at her head while she kneeled in front of him. She cooed to him while she picked grass and dirt from the wound and he responded with a wiggly kiss to her head. It was as if he knew she was going to make him better and he showed no fear as many horses do after an injury. Once the wound was dressed, she quickly un-saddled him and removed the bridle. Not wanting to leave him alone on the cross-ties, she unhooked him and decided to bring him to the show barn where there were some empty stalls so she could safely leave him to get help. On the short walk to the show barn, she scanned the night for any signs of a rider, quite possibly injured themselves, stalking the woods looking for their horse. She stopped twice to listen intently, but heard nothing out of the ordinary. Once the horse was settled into a large box stall, Lexie filled the water bucket, checked his bandages once more, then, called for Beans to follow her to the main house. When she glanced into the side window of the door, she saw a light come on in the upstairs hall. Willa opened the door and could tell by the look on Lexie’s face, the news was not that good. “Where is he now?” Willa asked. “Yes, he looks like he’s has a fall, too. His bridle is all scratched and dirty and he snapped his reins,” Lexi added. The lights came on full bore in the big house and Willa’s staff was alerted to the goings on. Lexi returned to the show barn to check on the horse while trainers and grooms alike were rousted from their warm beds to look for a potentially-injured rider. Within minutes, the first sheriff’s car arrived and Lexi waved him over to the show barn. She gave the officer a full description of what she encountered, and showed him the horse. The yard came alive with staff members and more patrol cars. Lexi led them to the barn where she first encountered him. She pointed out the open back door and everyone followed her through to find the hoof prints that might tell them where he came from. The sheriff’s strong flashlights lit up the night and they followed the prints, easily seen in the super-bright LED lights. Everyone fanned out behind Lexi, Beans and the officer. They carefully followed his big shoe prints along a small path that led to the cross-country field. When they reached the field, the prints became one with a thousand other prints. The sheriff ordered the staff and take different grid areas and to watch carefully for a downed rider or any signs of a scuffle. Beans had his nose to ground and Lexi followed his path heading for the break in the field where the pleasure trail could be easily accessed. As she passed by each fence, she carefully searched around all sides and as far as the beam of light could see. Suddenly, Beans let out a low growl. “What is it, Beans?” Lexi softly spoke to the dog. Beans’ hair was standing up across the length of his back. Lexie collared him immediately and shone the flashlight in the direction of the dog’s stare. As she panned the jump near her with the bright light rays, she could see what looked like a striped shirt lying in a pile on the ground. She approached the clothing piece slowly with Beans bristling at her side. The sheriff caught up to her after directing the others to keep looking. They drew near the shirt and both flashlights lit up the entire jump and surrounding ground. Beans was virtually vibrating in place. He was clearly sensing something wrong. The sheriff leaned down and with a gloved hand, picked up the remnants of a striped riding shirt. There was a sizeable rip along the front, from shoulder to hemline, and there was blood…lots of blood…on the shirt and the ground. Lexie grabbed her shirt at the neckline and gasped when she saw what the sheriff was holding. “Oh, my God,” she struggled for a breath. Lexie motioned for Beans to follow her back to the barn. The rest of the trainers and grooms, groundskeepers and family members that were out searching all fell back in line as Lexie led them to the show barn. When she got to the horse’s stall, Lexie gulped in a huge breath and blew it out before she told everyone what Beans and she had found. There was much murmuring and startled looks between the staffers. Willa entered the barn and was brought up to speed on the happenings out on the cross-county field. The veterinarian was seen rounding the curve in the drive and one of the grooms hailed him to the show barn. Willa gave Lexie a hug and asked if she was all right. Dr. Hempstead strolled through the door yawning loudly. “Well, what have we tonight? Colic? Cast? Night terrors..hee hee” he giggled at his own wit. Willa, shook his hand and thanked him for coming out so quickly. She told him the story of the horse and had Lexie halter him and hold him in the stall while the veterinarian did a full body check. “Whoa…whoa…WHOA!” Officer Daniels cried out as he desperately tried to control 2000 pounds of pissed-off Percheron. Already de-seated and slipping off the side, the officer flailed at the reins and grips of the saddle just before the prancing black gelding did an electric slide to the right and dumped him on his backside. The horse gleefully trotted off to a patch of grass in the middle of Military Park and nibbled while giving the un-mounted police officer the evil eye. Officer Pete Daniels lay out on the grass like a bum on a three-day drunk, a stark contrast to his usual six-foot-one, tall, dark, and handsome visage. He rolled slowly to his side and stared over at the black menace he’d been trying to ride. “You miserable prick,” he seethed. His partner Jake Colby rode up to his fallen buddy and climbed down off his own Percheron gelding, Maximillian. “Are you OK?” he enquired. Jake stared at the black beast as if expecting the answer to come straight from the horse’s mouth. “The truck went by with the landscape trailer on it and hit a pot hole. That big metallic clunk you heard? I think that’s what he doesn’t like because he came right off the ground and started bucking. I wasn’t really paying attention enough and he came right out from under me,” Pete replied. Jake approached Duke slowly and gathered the reins. “Can you walk?” he tossed over his shoulder at Pete. Pete rolled to his knees and crab-walked his way up to his feet. He couldn’t put weight on it so there was no way for him to ride back to the police stables more than a mile away. “I don’t think I can get back on him. My hip really hurts,” Pete replied while checking out all the body parts to see what was missing. “NO! No ambulance ride for me, just call for back up and I’ll ride in with the Unit 12, they aren’t that far from here. I landed on my damn radio when I fell,” Pete dangled what was left of his microphone for the portable radio. Pete just groaned and hobbled toward the park bench at the edge of Military Park, a beautiful green oasis in the middle of one of New Hampshire’s biggest city. As he made his way out of the park he couldn’t help but wonder what he was doing wrong with this horse. Why does he always bolt when he hears a loud noise? Not just any noise, but it seemed like certain noises. The Manchester Police Department purchased the horse a month ago and Duke was painted as the perfect candidate for crowd control. Pete couldn’t imagine what would happen if Duke bolted in the middle of a parade crowd. He shuddered at the visual. Pete just shook his head as he creaked up slowly off the bench. No sympathy from these guys. It was well known that most of the police crew thought the mounted unit was all rainbows and chocolates. Meanwhile, Jake rode back to the stables at a brisk walk with Duke in tow. His own horse, Max for short, was a tried-and-true veteran of riding the city streets, schmoozing with people, being a goodwill ambassador to thousands of school kids, and a formidable presence during crowd control situations. Max seemed to resent Duke tagging along at his hip and occasionally did a “look back” to make sure Duke stayed where he was. Jake hooked the two horses to separate cross ties and began the un-tacking process. Each horse had bridle and saddle removed then, vigorously rubbed down with a curry comb. Once the post-ride massage was finished, each horse was wiped down with a fluffy towel and then turned out into a pasture for the rest of the day. Jake locked the gate behind him after he turned out both horses and stopped to watch them roll in the dirt. He also wondered what was wrong with the horse and why he was such a miserable brat. Finding no answers, he got into his car and headed for the hospital to check on his best friend and PD partner. What will happen when Marla Mesconti mixes it up? Find out soon! Captain Courageous will be in print very soon! “What denier is it?” The most common question now asked of tack shops, online sellers and e-bayers alike. Horse blankets are made of many fabrics but the strongest is nylon. Nylon comes in many different thicknesses, styles and weaves but the word “denier” refers to the threads weight, not strength. I know, it’s confusing but to make is a simple as possible, denier can be a misleading purchase point of a blanket. You can make a 600 denier blanket out of a thread as light and wispy as grandma’s sewing machine thread or make it out of ballistic thread. They weigh the same. Which do you suppose will last longer and take more games of blanket-tag? Manufacturers have now listed deniers on the tags so unknowing consumers will buy a blanket that is 1200 denier over their competition’s 600 denier. The consumer doesn’t know that the 1200 denier thread is spider web and the 600 is Kevlar. Which one will do a better job? The Kevlar of course, but unfortunately it is a common misperception that the higher the denier, the stronger the blanket. Reality is the cost will probably be the best “tell.” If company A is selling a 1200D turnout sheet for $89 and Company B is selling an 800D for $129, chances are good the 800D will outlive the 1200D. Not always is this the case, as some companies just love to make oodles of money! But most companies I’ve dealt with are competitive with their pricing. What’s the difference between a 600D and a 600D ripstop? Ripstop is made with cheap thread and they weave a mesh of nylon line into the fabric to help stop a long rip once a horse snags it on something. Again, the question should be what is the 600D made of? Bottom line is, don’t buy a blanket on the denier number alone. Look for warranties, that’s a good sign the blanket is made for the tough life. Listen to what the MAJORITY of folks have to say about a brand, not one or two friends. See if there are any notations on how it is woven. Single weave, double weave, 2×2, ballistic, etc. That will show a stronger sheet or blanket is being made for you and they are proud to put that information on the tag. “What is the denier?” Pllttthhh……keep looking! I’ve spent a lifetime working with the written word in the form of zillions of articles on horses, my favorite subject, and oodles of kid’s stories. I’ve finally had the opportunity to turn my pen to the full-length fiction that I’ve yearned for! Ritzforg 127 is a mystery/crime novel that is set in New Hampshire and Kentucky. It has crime, mystery, twists and turns and everything you want in a good read! 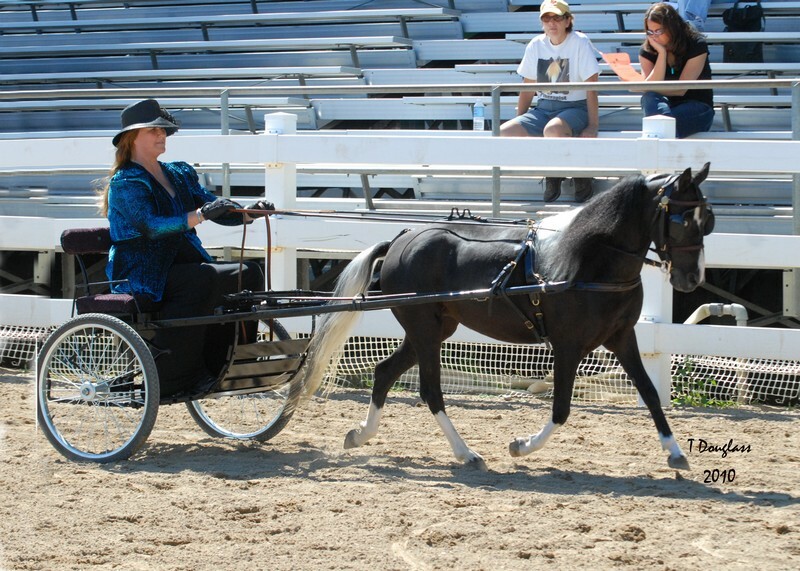 The story starts with the theft of Ritzforg 127, a popular Friesian stallion of Brandywine Farm. Marla Mesconti is the owner of a neighboring farm and her mentor Bill Reynolds is found dead at his farm days after the horse was stolen. Inept and understaffed police have no clues to either crime and quickly the stolen horse case is shelved. Marla cannot stand by quietly while the perps get away with this tragedy. Follow the story and get in touch with the colorful characters as they unwind the mystery surrounding Ritzforg 127. The story traverses the horse show world and wings from New Hampshire to Kentucky. Book 2 “Captain Courageous” is underway and the story is about the mounted police horses of a local PD. Marla gets involved as trainer and quickly becomes a suspect! Watch for the release of Captain Courageous in summer of 2014! Why is it that when people circle 20 classes they qualify to go in on the horse show prize list, they can’t seem to whittle it down to 4-5? Just because you CAN go in all those classes, doesn’t mean you should. I’ve judged countless shows where I see the same horses in 10-15 classes. That borders on inhumane! These poor horses are brought in a hot trailer, continually fed hay to keep them quiet while they wait for their classes, then are “warmed up” before almost every class with a belly full of roughage. It amazes me that more riders aren’t tossed into the pucker brush. What possesses a person to ride these horses for class after class like that? A 99-cent ribbon? Bragging rights? I just don’t get it. The horse was standing in line with his eyes shut. Imagine what his muscles must have felt like? Generally, show horses are not as fit as trail horses. But showing a horse in 10 or more classes in a day is the equivalent of riding 2 1/2 trail hours at a brisk trot. You wouldn’t do that on a trail horse that only had 15-30 minutes of exercise a day 3-4 days a week. You’d take it easier, maybe a brisk walk for 1 1/2 hours until they were up to the longer trotting trails. But yet, these people do it to their show horses! Worse yet, they are spoken to by stewards, judges, show management and friends, and still do it! Is the bloody ribbon worth hurting your horse over? In my experience, the people showing with me would pick 2-3 halter classes and then they would have to pick a total of 4 classes to ride in and that’s it. If the horse had a long rest in the afternoon, I’d let them pick a game class at the end of the day. It is a double-edged sword as show committees need lots of entries to pay for the show but people should not enter more than 6 classes at a one-day show. How about getting your friends to attend the show with you and then everyone wins! Show committees get lots of entries and judges get to see more horses, and horses are not overworked! Win, win, win! But how do you get people to understand that theory without ticking them off? If you see someone showing their horse over and over to the point where the horses are dragging their heads, say something to the show management, it’s a start. If they’re your friends, mention that their horse looks dog tired and maybe you’ll get through their thick skull!